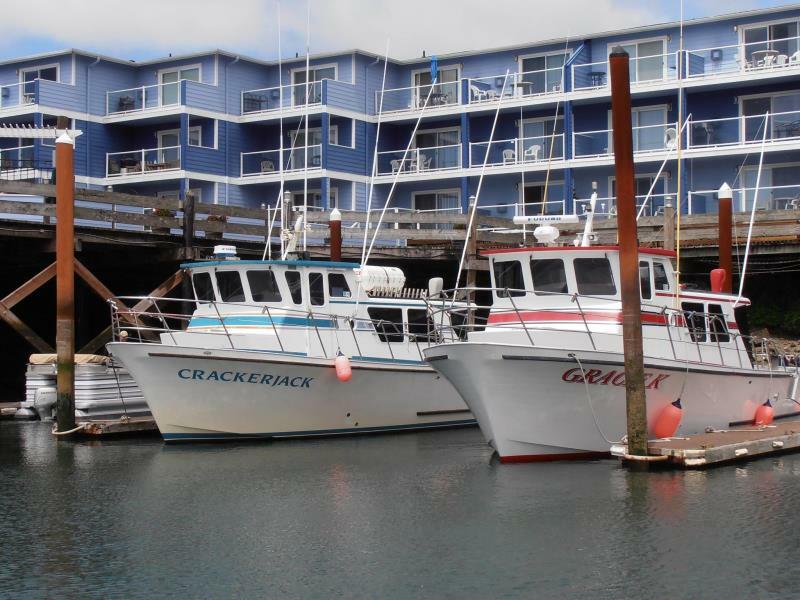 Take a trip with us for an exciting time while we set some pots for crab and look for whales along the Oregon coast. Most of the whale watching trips involve the California Gray Whales. This whale makes the longest migration of any mammal on the planet. Migration of the Gray Whale begins in Baja California and ends in the Bering Sea of Alaska. The Gray Whale reaches sizes of 45 feet in length and weigh on average of 16 ton. Orca Whales with their distinctive black and white color and pointed dorsal fin are also sighted as well as Humpback whales on occasion. Our whale watching adventure trips are 2 hours long and we can accommodate up to 30 people. Be sure to bring your camera and sense of adventure for this exciting sightseeing trip!